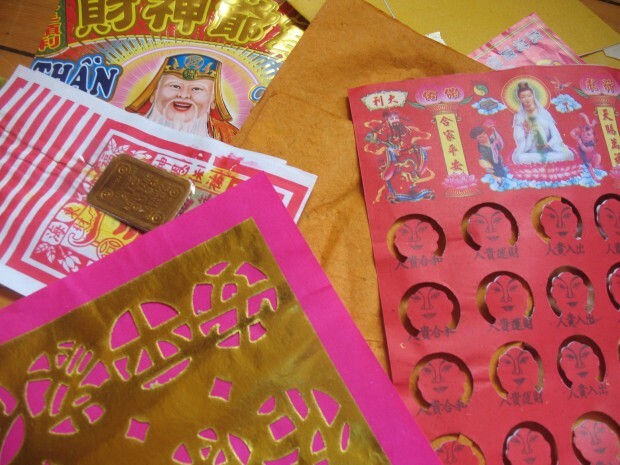 This beautiful Joss paper, or Spirit Money, which is usually made of bamboo or rice, is burned by the Chinese as an offering to ensure that the spirit of the dead has abundance in the afterlife. I hope they won’t mind if I use their Joss paper for a few projects in my present life. In case you need to get some Joss paper for yourself, it can be found in the Joss paper and incense section in Albuquerque’s international grocery… next to the chicken scented incense!